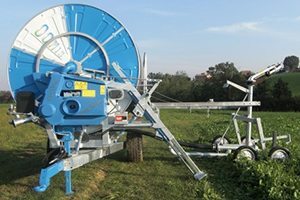 Hose Reel Traveling Irrigators | ATS Irrigation, Inc.
Are you looking for an easy, effective option for irrigating fields with obstacles or odd shapes? 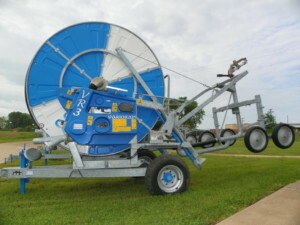 Consider a hose reel traveling irrigator! 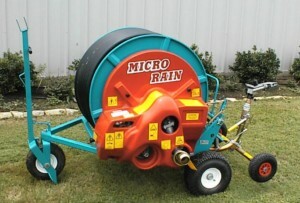 We sell the trusted Micro Rain™ and OCMIS brands of hose reel traveling irrigators. Both can be used for a variety of applications, including hay field, sport field, and polo field watering, as well as arena dust control. They also come in various sizes and price ranges to fit everyone’s needs!